Ayla is a writer, recipe developer, photographer, and food stylist. Smoothies are a fantastic way to get a variety of nutrients into your diet in one simple meal. But following a keto diet means you have to be picky about your smoothie ingredients. Green smoothies are fantastic — with their array of leafy greens and other low-carb vegetables. But variation is the key to keeping your smoothie recipes interesting. And variation is harder when you have to cut all those fresh fruit smoothie recipes from your keto meal plan. Frozen bananas and other high-sugar tropical fruits are a no-go when you’re trying to stay in ketosis. 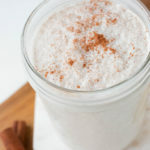 With this delicious vanilla bean smoothie, you get the best of both worlds: blood sugar-balancing ingredients, plus a flavor that rivals your favorite ice cream. Coconut milk or almond milk make this vanilla shake dairy-free as well — for anyone sensitive to dairy. Exogenous ketones are relatively new to the supplement world. As the benefits of the ketogenic diet continue to gain attention, people are looking for more ways to get mental and physical benefits of ketones. In one rodent trial, researchers tested rats’ physical endurance by feeding them exogenous ketones and having them perform physical tasks. In one part of the study, rats were either fed ketones or a control substance and then put on a treadmill to test their endurance. Researchers found that the ketone-fed rats ran an average of 32% faster than the control rats. In the same study, the rats were placed in a complicated maze to see how ketones affected both cognitive and physical performance. The results showed that ketone-fed rats ran and completed the maze 38% faster than control rats, and also made more correct decisions before making mistakes[*]. The ketone body beta-hydroxybutyrate (BHB) may help reduce systemic inflammation[*]. And lucky for you, the Perfect Keto Exogenous Ketone Base is loaded with BHB. Being in a state of ketosis is also known to have a positive effect on brain health — specifically in people suffering from neurodegenerative diseases. Scientists believe that enhanced brain function is due to the anti-inflammatory effect of ketones, in combination with the blood-glucose-lowering effect of ketosis[*]. Cinnamon is another ingredient that boasts anti-inflammatory effects. Cinnamon contains a compound called cinnamic aldehyde, which gives cinnamon its flavor and that spicy-sweet scent. One study found that cinnamic aldehyde was effective against lipopolysaccharides, a type of endotoxin that’s found on harmful bacteria in your body. Cinnamon was also able to decrease inflammation in mice[*]. They say nothing good comes without a price, and keto flu may be the perfect example of that. While there are many benefits of following a ketogenic diet, getting into a fat-adapted state can take some will and determination. Keto-flu can show up as brain-fog, headache, fatigue, dizziness, sugar cravings, and sometimes nausea. These unpleasant symptoms subside once your body is adapted to running on ketones, but they can be a real hindrance if you’re not prepared. Along with some electrolyte loss, one of the main issues with keto-flu is that your body doesn’t yet know how to fully run on ketones. As your body runs out of glucose, and it doesn’t quite know what to do with ketones yet, you’ll start to feel your energy wane. That is, unless, you add in some help. Adding exogenous ketones may take some of the pressure off your body as you transition into a ketone-making machine. Exogenous ketones are also a great supplement to have on hand if you add carb-cycling to your keto diet. Adding in ketones after a carb-heavy meal supplies your blood with ketones, which may help you transition back into ketosis faster. MCTs are another source of ketones that you can rely on. When you consume MCTs, they can increase BHB in your system and promote a state of ketosis[*]. Enjoy this vanilla bean smoothie as a quick morning breakfast, or as an afternoon pick me up. It’s dairy-free and gluten-free, and full of nutrients to wake you up both physically and mentally. This vanilla bean smoothie tastes like a real vanilla bean milkshake. But with almond milk or coconut milk, it’s dairy-free and low-carb — no fresh fruit needed. Add everything to a high-speed blender and blend until everything is well-combined.